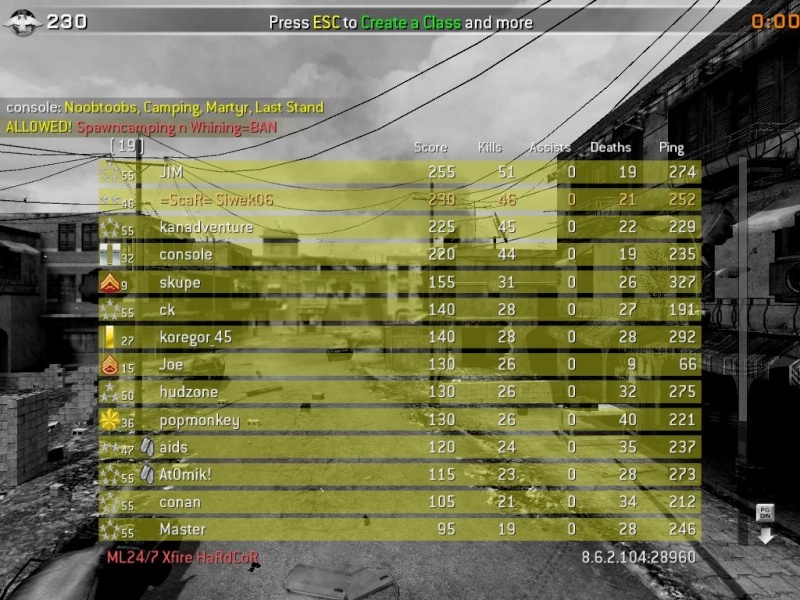 This is just a random cod4 match in crossfire. Most people were puting some scores up, so i just took a quick one. There were loads of spawncampers, and campers, aswell as people using tubes, marty, etc. I might post some more, probably better ones. Hahaha nice, I don't know squat about CoD but WHY DON'T PPL ASSIST?!?!?!?!?!? they do, but this was a ffa (free-for-all). So people could steal your kill, there were no teams. Subject: Re: Siwek06 Random Score. Cod4.